‘Oh, if all were to know how beautiful Jesus is, how loving He is! They would all die of love. And yet, how is it that He is so little loved? Oh, it is time lost to be with creatures! Our heart is made to love one thing only, our great God….Fire! Fire in my heart! This morning it is burning...... Dear Jesus, I love you so much! I shall endeavor always to love You; I shall live to love You; I shall die to love You!" ....Give me wings oh Jesus, so I can fly to Your throne! …“I am happy in every way that Jesus wills, and if Jesus wants the sacrifice of my life, I give it to Him at once. If He wants anything else, I am ready. One thing alone is enough for me; to be his victim, in order to atone for my innumerable sins, and if possible, for those of the whole world’[1-SEE FOOTNOTES]. What distinguishes Gemma's Eucharistic spirituality is its intensity and sheer pentecostal fire-like quality. In her prayers she frequently mentions that in the presence of Our Eucharistic Lord she feels herself "burning so fiercely" and felt "almost stupefied that so many could stay near Jesus and be reduced to ashes" . Her extreme humility is such that in her own particularly Eucharistic fervor she cannot imagine any other soul not having just as intense, if not more so, an experience of Christ's Real Presence; she is utterly impervious to her own exalted state of spiritual union with Jesus. She pleas with Him: "'My God, if you cause all to feel thus on fire, they will all be burnt up before You, they will be unable to resist and You will be left all alone'" . Her constant emphasis is towards the universality of the love of Christ towards all poor sinners, of whom she as a great Saint considers herself the worst. In her inimitable self-effacing love of God, even as we saw in the above prayers, she could not possibly imagine anyone not loving Jesus as she does – or even more so because she considered that she lacked the love and devotion which Our dear Lord deserves. The fire-like quality to her prayers is such that she bursts out that at times she is “constrained to exclaim: ‘Where am I? Who is near me? Without any fire at hand, I feel myself burning; without any chain, I feel myself bound to Jesus; by a hundred flames that make me live and make me die, I feel myself destroyed…To all I wish to cry: Love Jesus only’”. "Father, Today I have had Jesus, and now I possess Him entirely in my miserable soul. In such moments my heart and the Heart of Jesus are one. Oh, if I could make it remain so always! It would mean that I would not commit any more sin. Oh, what precious moments are those at Holy Communion! Communion is a happiness, Father, that it seems to me cannot be equalled by the beatitude of the Saints and Angels. They admire the Face of Jesus and are sure of not sinning and of never being lost; and I envy them those two things, and I should like to be one of their company, but indeed I have reason for exulting, for Jesus enters every day into my heart. Jesus gives me all Himself, though I give Him nothing of worth. I ask Him always for many things, and to tell the truth, I am afraid of wearing Him, but He says no. Blessed be Jesus! Is it not true, Father, that to be united to Jesus always is almost to taste the joys of Paradise? I know, I have been weak, ungrateful...to Jesus; I know myself to be without merit, because I squandered the graces Jesus gave me, I see myself full of fault because of my useless thoughts and useless words; I do not know at all how to mortify the eyes. Who is worse than I? And I have the courage to say, what makes Jesus weep? I will humble myself but I will not despair. When Jesus is disturbed, I will got His Mother an dwill beg her to tell Jesus that I will be good and that I will not make Him weep any more." She was once asked what she did while in the presence of Our Lord in the Blessed Sacrament, to which she responded so beautifully: “’What do I do? 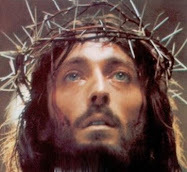 When I am with Jesus Crucified I suffer, and when I am with Jesus in the Blessed Sacrament, I love’”. She counts all else as nothing besides Our Lord because she experientially has such an intense attentiveness to the Catholic truth that it really is the infinite God who is there present before our very eyes. She prays during an ecstasy, affectionately telling Our Lord that He “has not given (her) temporal and perishing riches, but the true riches, the nourishment of the Eucharistic Word”, to the point that she cannot imagine what she should be “had (she) not dedicated to the Sacred Host all (her) affections” because the “Spirit of the Word reigning in the womb of the uncreated Faith has come and made (her) a partaker of His tenderness”. Her spectacular consciousness of Catholic doctrine is prevalent throughout all of her mystical experiences. Here in particular she testifies to the depth of the Church’s teaching that by the Sanctifying Grace we receive through the Sacraments, especially the reception of the Holy Eucharist, we come to participate in the very life of the Incarnate Word Who by becoming Man has given us a share in the life of God. Her desire is continuous and relentless: “Come, come, Jesus, for I long for You day and night. Yes, I want You every hour and every moment, I want none but You. You alone Jesus can satisfy me”. Gemma’s Eucharistic zeal leads to her having no other desire but for Him, for she knows and believes with all her being that He alone can truly satisfy her heart. The Virgin of Lucca's extraordinary love and devotion to the Blessed Virgin Mary was an outstanding aspect of her unique spirituality. Interestingly, because her own mother died when she was eight years old from tuberculosis, she would “If God has taken away my mother”, she would often say, “He has left me His own”. Her undeniable coredemptive spirituality of victimhood in union with Jesus and Mary Coredemptrix plays out not only in her Marian devotion, but just as much if not more in her experiential relationship with the Mother on Calvary. Her experience of Mary as the universal Mediatrix of all graces leads her to beg Our Lady to "reestablish peace between Jesus" and herself, in light of the fact that frequently She has "been able to restrain Jesus when He was on the point of abandoning" her, continuing by calling the Mother to "come between Jesus" and her", clearly emphasizing her uniquely mediatorial role. Her distinctively Eucharistic focus is markedly Marian as well, as she notes in a letter that particularly “delightful is Communion received with Mother Mary”, such that she lovingly prayed to Our Lady: “Mamma, how much I enjoy calling you Mamma!”, to which the Blessed Mother responds by reciprocating that she “enjoy(s) calling (her) daughter”. Her acknowledgement that the Blessed Mother’s place is entirely unique is revealed when she expresses finding “so many times that the feast of my Mother is for me a day of greater peace, greater love, and of sanctification”. This little Saint explicitly notes that Our Lady, because she has been given such a “beautiful the crown of glory”, around which “are many gems, which are all her virtues; there are many, many pearls”, that therefore “She had also a sign in the beautiful crown which means that she is the dispenser of the treasures of Paradise”. Without any theological training, she expressly understands the depths of Catholic Mariology and the significant strain in the mystical Tradition which maintains that each and every grace is personally dispensed by our Heavenly Mother. The Marian dimension which is fundamental to the Passion Flower’s spirituality emphasizes how not only do the lives and experiences of the Saints attest to their notional, intellectual assent to the articles and dogmas of Faith, but that so often their experiences themselves in increasing union with Our Lord and Our Lady result in their experiential confirmation of the Truths of the Faith. How true this is when it comes to the Marian doctrines and dogmas of the Church; St. Gemma in her prayer in a real way experienced Church teaching that Our Lady is the uniquely immaculately conceived Mediatrix of each and every grace won on Calvary, where She stood with Jesus as the exclusive Coredemptrix in union with the Redeemer. When she receives what she considers a “little gift” of having to go to confession to a priest other than the confessor whom she desired, she acknowledges that she does “not know whether it was Jesus who gave this gift or the Mother of Jesus”, making it clear her instinctive recognition that Our Lady has such power with God. Her love for Mary is so connatural to her spiritual life of love of God that she knows instinctively things biblical facts which generally we learn from reading the Sacred Scriptures themselves. "This morning after Holy Communion I thought: ‘Oh, what a great sorrow must have been for the Madonna after the birth of Jesus when She thought that they were to crucify Him! What a heart ache! How many sights, how many times She must have cried! However, She never complained. Poor Mother! Then when She saw Him really crucified, that poor Mom was pierced by so many arrows. I know very well that when a person hurts the son in the presence of a mom or dad, the pain hurts the son and also the parents. Therefore my Mom was crucified together with Jesus. And She never complained. Poor Mother!” “Tell me, Mom, what did you do when you saw Jesus crowned? What did You do, what did Your heart feel?...Ah! I understand it is a sorrow so great…what a difference between Your heart and mine!...It was a great sorrow…What shall I do here today?...Jesus has died, and You, my Mom, are crying. What will I do? To whom will I talk; who is with me?...I am not worthy, my Mom, that You remain with me…Why are you crying? What causes Your cry? If You cry because they offend Jesus, oh my Mom, then be consoled!...I will do all I can so that He will not be anymore offended. I will do all I can so that they will leave Him be…do not worry my Mother, I will sacrifice everything: words, thoughts, sacrifices, so that He will be less offended…Oh, wicked sinners stop crucifying Jesus, because at the same time you pierce His Mother!’”. Consequent upon her deep Eucharistic love coupled with passionate Marian coredemptive fervor, Gemma was led to the ultimate sacrifice of her life in union with Jesus our Redeemer and Mary our Coredemptrix. On June 8, 1899, she first received the Sacred Stigmata, a major crowning point in her life of ultimate union with Our Lord on the Cross. From that point on, every Thursday around 8 p.m. she would weekly receive this redemptive experience which would remain until Friday around 3 p.m. The other horrendous experience which she also received was His Crowning with thorns, such that once Christ “appeared to her crowned with thorns, and, taking the crown from off His own head, He placed it on hers…This wonderful phenomenon recurred regularly for some time from the Thursday to the Friday of each week, and even continued after the stigmata in the hands, feet, and side had ceased…Sometimes, when at supper…drops of blood appeared upon her forehead, which…trickled down her cheeks and neck”. This very unique sharing in the sufferings of Christ came about through her sweeping, overwhelming desire to be united intimately with Jesus, particularly His Agony and Passion in which as Christians we find our hope, fulfilled in the Resurrection. She expresses her yearning to be Our Lord’s “Spouse of Blood”, most of all by “enduring numberless sufferings and crosses’”, explaining that she “’will never abandon Jesus alone on the way to Calvary’” but instead “’accompany Him not only to Calvary, but also the cross and death’” – because by constantly “’think(ing) of the infinite love with which Jesus embraced (the Holy Cross), we firmly resolve never more to withdraw from (it)’”, emphatic that if she “’refuse(s) the cross (she) also refuse(s) Jesus”, praying: “’Holy Cross, with you I want to live, with you I want to die. I love the cross, because I know the cross is on the shoulders of Jesus’”. Because she experienced the Agony of Our Lord on Fridays, she has such a profound awareness of the reason for this unique grace of sharing in His Passion as being, as all God’s works are, out of His infinite love and mercy, that Jesus “proved anew His love toward me by giving me His crown of thorns until the following day; Jesus loves me most on Friday”. She passionately describes that when she made “a visit to Jesus Crucified…there came to (her) a strong desire to suffer and with all (her) heart”, such that she “asked it of Jesus. And Jesus that evening made (her) have a very violent pain in the head, and blood almost came; but (she) was almost overcome and afraid that (she) might not be able to endure it”. What is striking about her extreme urge to suffer is that, as a legitimate mystic she comes from the authentically Catholic point of view which sees suffering not as the end in itself – but, as with all true mystics, we see prevalent in her entire short life of victimhood the undeniable focus on suffering as paradoxically redemptive exclusively when united to the Redemption won by Our Lord on the Cross. She gives herself totally and completely to Jesus, holding nothing back: “’Well, Jesus here are once again my hands; my feet, all my being. Do what you like with them, I am yours”. All of her self-offering leads to her bold prayer which expresses the mentality of each and every genuine Saint: “For you, Jesus, I willingly sacrifice everything; I give all to you, body and spirit; my heart with all its affections, my body with all its frailty, but now? I am not mine any more, Jesus, I am yours”. There is nothing left for Gemma to give but all of her being, for all is a gift from God; therefore, to He alone is due all that we are, all that we have. It is not in the great mystical gift of receiving the Sacred Stigmata in order to unite in the sufferings of Christ physically in order to coredeem and participate in the subjective Redemption, nor in any of the other astonishing supernatural phenomena which occurred so frequently in the life of the Virgin of Lucca; no, she readily acknowledges and wants us who desire to imitate her life of union with God to continually recognize, that it was in her giving up of self in undying love for Christ that is the reason for her great holiness. ‘O love, infinite love! Strip me off this flesh and take me out of this body because I can no longer endure them. My body cannot bear this continual longing. Then take me from this world…O, love, infinite love! I will never divest myself of your love! O, love! Delight of Love! O, love, which delights and never torments me! O love, o love of Jesus, I will never yield you to anybody! This love which I possess I will not yield to the saints in heaven, nor to creatures on earth. This love is mine. I will have no one excel me in loving my Jesus. O love, infinite love! You see, o Lord, your love penetrates even my body so vehemently…When, when shall I join you, who keep me close to you by such strength of love here on earth?...Let me die, and die of love! 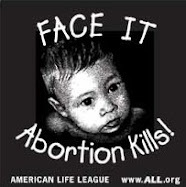 What beautiful death, oh Lord, to die a victim of your love, a victim for you!’”. Above all was her zealous plea and craving to use all of her suffering to save souls, as this was all understood in the light of Our dear Lord’s mercy and infinite love. She always offered the suffering and pain for the redemption of the world; this formed the basis for her spiritual apostolate of coredemptive suffering out of a share in Christ’s saving love for poor sinners who are in danger of dying rejecting His infinite love; for these she would do anything possible: “’There is no torment or suffering that I would not bear for Jesus. I would give every drop of my blood, and I have desired martyrdom….I would be strong enough to try and prevent so many poor bad people from offending Him”. In outlining her spirituality, it is good to risk exaggeration in emphasis on her focus on souls out of undying love; all of her mystical gifts and extraordinary graces she herself wants us to view in light of this one fundamental goal and purpose of loving God with her whole being; her suffering is a share in Christ’s suffering, and her obsessive ardor for souls to be saved is a share in Christ’s vehement fanaticism of love for all poor sinners in need of His love and mercy: “’Oh Jesus, do not abandon poor sinners; think of sinners and me. I want them all saved’”. Even in her sharing in Christ’s sufferings, it is striking that her thoughts and desires are centered not merely on experiencing this extraordinary grace of sharing in the physical sufferings of our Redeemer – but instead on satisfying His thirst for souls and suffering specifically in union with Christ. She sympathizes greatly with Christ, imitating our Blessed Mother in Her compassionate love at the foot of the Cross. It is not strictly in the sufferings themselves, but in her admirable hunger to take the pain which she knows she herself, as a poor sinner, deserves rather than our innocent Savior. She is beautifully adamant that her obsession is really “’to bathe with (her) blood all those places where Jesus is outraged’” and that she “’would wish all sinners to be saved, because they have been redeemed by the Precious Blood of Jesus’”. All of her meditations, prayers, united with her coredemptive suffering, is all centered on the main goal of ardent love of Jesus, and out of this love comes what becomes practically a need to save souls whom He so tragically suffered in order to redeem. In one specific case this is remarkable and seems unparalleled even amongst other great Saints. In her ecstatic dialogue with Jesus concerning the soul of a wretched sinner, she begs Jesus for his salvation. In response, Our Lord seemed rather “disposed to deal as a just Judge with this man”, to which Gemma responded all the more fervently with requests to “(s)ave him, Jesus, save him…In Thy mouth, Who art Mercy itself, that word ‘abandon’ sounds bad. You must not say it’”. She is so single-mindedly concentrated on the love of God and His inexhaustible mercy that she comes to share so beautifully in Christ’s thirst on the Cross for souls. The special way in which Gemma seems to have such a passionate thirst for souls makes it almost humanly seem as if she is somehow ‘fighting’ with Christ to save souls, so beautiful is her love and share in the compassion of the Hearts of Jesus and Mary. She accentuates that she is “’not seeking (His) Justice’” but “’imploring (His) Mercy’”, begging Him to “go in search of that poor sinner” at which point Our Lord actually showed her the many sins that this great sinner had committed in his life. Finally, she prayed all the more feverishly: “’I know, Jesus…that he has offended Thee thus grievously. But I have done worse and, for all that, You have shown me Mercy…Use with my sinner, I implore of Thee, all those delicacies of Infinite Love that You have used toward me’”. In spite of how horrendously sinful this man had been, Gemma was so in touch with the purity of Jesus and could so closely see her stained fallen soul in the light of the infinite holiness of God that she sincerely considered herself even worse than this poor sinner in the eyes of God. Such humility is astounding and a characteristic of all the Saints – they recognize in the light of the Truth Who is Christ that the grace which has brought them to such heights of holiness is purely done out of the infinite mercy of God much more than any goodness to be attributed to them. When it continues to seem as if her sighs for Mercy are not being answered, she seeks recourse in the Mother of Mercy: “’I am unworthy that You should listen to me. But look, I present Thee another advocate for my sinner; it is Thine own Mother who asks You to forgive him. Oh, imagine saying no to Thy Mother! Surely Thou canst not say no to her. And now answer me, Jesus, say that Thou hast saved my sinner’”. Her great humility has her realize so instinctively that if her own prayers are not seeming to have a real effect on Jesus’s attitude towards this poor sinner, surely the all-efficacious prayers of the Mother and Mediatrix of mercy will aid her cause. Shortly thereafter, miraculously, the sinner was recorded to have called a priest and confessed his sins, receiving the undying mercy which Gemma had so strongly hoped would be given him! The radiating hope which she had in God not just for herself, but truly for all sinners no matter who horrendously they had grieved the Pierced Hearts of Jesus and Mary, all demonstrate the heroic virtues of faith, hope, and charity which all came together to make Gemma the great Saint that she is. 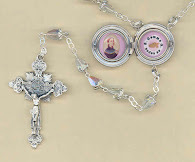 To even begin to adequately describe St. Gemma’s spirituality, it is necessary to finish with more insights into the virtues which she lived – for while we have seen the outstanding characteristics of humility, faith, hope, and love, amongst all of the virtues, throughout the accounts of her Eucharistic, Marian, and victimhood emphases, as a genuine Catholic it was these virtues which dynamically allowed her to live the life of grace that made her a great Saint. When she initially made her own holy hour, which is now available to pray so as to imitate this victim soul’s spirituality of the Passion, she noted that in prayer that she “began from that moment to have a deep horror of sin”, which she makes clear “is the greatest gift Jesus gave” to her”; she maintains that we must remember the most important aspect of her life is the great hatred she increasingly had of offending the Wounded Hearts of Jesus and Mary, not any extraordinary mystical gift such as her miraculous sharing in the very Wounds of Christ among other supernatural phenomena. She is adamant that the point of all her mystical experiences was that Jesus impressed on her the growing hatred of sin, with the consequent desire that her heart become more and more filled with the love of God. She had such a deep level of purity that she “shrank from being touched by others and from the most innocent caresses”. Her reason was because out of dear love for God she wanted to be, not just spiritually but also physically, the property and possession of God alone. She had such horror of sin, particularly in the area of chastity: “’I would rather die than be guilty of the least sin; I would rather be blind than ever offend the least against holy modesty; I would rather be deprived of all my senses than that they should in even the slightest way become the occasion of sin’”. She was so simple that she always would wear the same outfit and would declare: “’I have nothing…I am poor, poor, poor for the love of Jesus’”. It could seem not entirely necessary to include discussion of the virtues when emphasizing the distinctive spirituality of Poor Gemma; to the contrary, the life of grace manifested in the lives of authentically Catholic mystics – and in a special way those great victim souls such as the Virgin of Lucca - abundantly shows that the spiritual life is always inseparably connected with the moral life. She begged Jesus that He would “so…deaden in her the sense of taste that she could no longer discern any flavor in what she ate or drank”, shortly after which “the organs of taste at once lost their sensibility; and she never after perceived any particular flavor whatever in food or drink”. This great height to which she went in order to be all for Christ, that she would desire to be deadened to the worldly sense of taste and drink shows how much her prayer life simply was based on loving God alone - clearly not on any sort of selfish desires or pleasures, which she so intensely strived with all her being to overcome and purge herself of, in order to give God everything. All of the mystical experiences, as Gemma validates in her prayers and seemingly unending growth in virtue and love of God and neighbor, are not isolated from ordinary life as a Christian but are meant to awaken the genuine mystic more and more to the life of grace. The mystical experiences are never mere feelings, much less ends in themselves – but are always for the purpose of greater union with the Heart of Jesus; the more union with Christ there is, the more the mystic shares, as exquisitely confirmed in the life of Gemma, in the burning thirst for souls and greater suffering in intimacy with the Sorrowing Hearts of Jesus and Mary. The hatred of sin which she felt was a natural outgrowth and logical consequence of her spiritual experiences of increasing intimacy with Jesus on the Cross. Even for Saints, Gemma is undoubtedly unique as a Saint who, even as her spiritual director attested, “’had never been guilty of one deliberate sin” and who “preserved her baptismal innocence unsullied till death’”. Her phenomenal self-abasement would get her to continually beg for the prayers of others. She expressed this in many of her letters to friends as well as her own prayers: “’Pray Jesus for me, and tell this also the others: it is a great charity to pray for me’…’If you only knew Jesus’ ways to mortify my pride!...Oh how bad I am!...Pray and make people pray Jesus for me, so that in a short time He may help me to make amends for my many faults, and clear my mind and let me know the horrible darkness of my soul’”. The depths of her purely self-transparency are made clear in her own knowledge of herself in the radiance of God – she sees that she herself as worthless though dearly loved with infinite tenderness by Our Lord; she expresses her sincere feeling that she is “’a sinful soul full of defects and little or nothing concerned about Jesus’ and simply “’good for nothing’”. One day, she was “returning from church…she happened to meet one of the household, who, in a fit of uncontrollable rage…broke out into shocking blasphemies. She tried to reprove him, but her strength failed, and she fell swooning to the ground. Her heart beat violently…it drove the blood so forcibly through her veins that it exuded from every pore in her body”. Remarkably, when asked if this was the first time she had heard blasphemy, she in her self-effacing way replied, “’It is not the first time I that I have heard them, and they always affect me in the same way, unless I succeed in escaping or diverting my mind to other things’”. This sort of experience of radical hatred of sin shows us the radiance of her deep union with God that led her to not specifically seek extraordinary experiences, but to solely invest herself and all her desires in love of Christ; the extraordinary experiences which miraculously occurred so frequently throughout her short life of love were beautiful outgrowths of her fundamental interior desire to love Jesus. http://www.stgemmagalgani.com/, Saint Gemma Galgani, Glenn Dallaire. 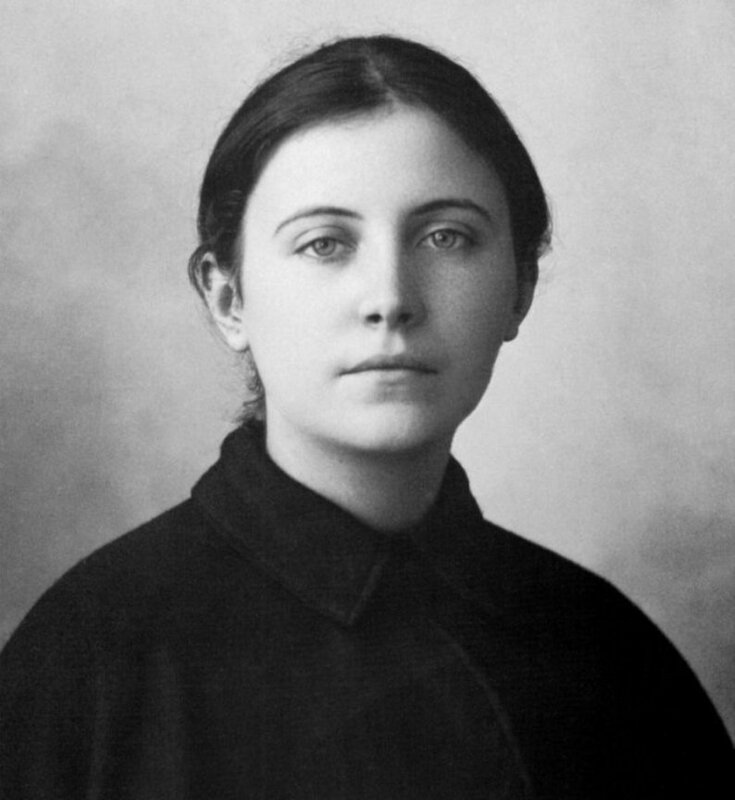 A Lover of the Cross: St. Gemma Galgani. Monastero-Sanctuario di S. Gemma Galgani: Lucca, Italy. 1940. Devotion to St. Gemma Galgani. Msgr. G. Bardi. Daughters of St. Paul: Boston, MA. 1986. Gemma Galgani: A Child of the Passion. Philip Coghlan, C.P., R. & T. Washbourne, LTD.: London. 1914. Gemma of Lucca. Benedict Williamson. Alexander-Ouseley Limited: London. 1932. Portrait of Saint Gemma: A Stigmatic. Sister Saint Michael, S.S.J., New York: P.J. Kennedy & Sons. 1950. Prayers and sayings of Saint Gemma Galgani. from The Life of Saint Gemma Galgani by Venerable Fr. Germanus, C.P., http://www.stgemmagalgani.com/2008/09/prayers-and-sayings-of-saint-gemma.html. Benedict Williamson, Gemma of Lucca (London: Alexander-Ouseley Limited, 1932), 148. Sister Saint Michael, S.S.J., Portrait of Saint Gemma: A Stigmatic. (New York: P.J. Kennedy & Sons, 1950), 164. The Eucharist and St. Gemma. http://www.stgemmagalgani.com/2008/09/eucharist-and-st-gemma.html. Sister Saint Michael, S.S.J., Portrait of Saint Gemma: A Stigmatic (New York: P.J. Kennedy & Sons, 1950), 158-160. Benedict Williamson, Gemma of Lucca (London: Alexander-Ouseley Limited, 1932), 151. Life of St. Gemma Galgani. http://www.stgemmagalgani.com/2009/01/life-of-st-gemma-galgani.html. Msgr. G. Bardi, Devotion to St. Gemma Galgani (Boston, MA: Daughters of St. Paul, 1986), 41. Sister Saint Michael, S.S.J., Portrait of Saint Gemma: A Stigmatic (New York: P.J. Kennedy & Sons, 1950), 171. The Blessed Virgin Mary and St. Gemma Galgani. http://www.stgemmagalgani.com/2008/10/blessed-virgin-mary-and-st-gemma.html. Revelations to St. Gemma on the Coredemption of Mary. From La Povera Gemma by Padre Enrico Zoffoli, C.P., http://www.stgemmagalgani.com/2010/08/revelations-to-st-gemma-on-coredemption.html. Fr. Philip Coghlan, C.P., Gemma Galgani: A Child of the Passion (London: R. & T. Washbourne, LTD, 1914), 75. Monastero-Sanctuario di S. Gemma Galgani, A Lover of the Cross: Saint Gemma Galgani (Lucca, Italy, 1940), 151. Monastero-Sanctuario di S. Gemma Galgani, A Lover of the Cross: Saint Gemma Galgani (Lucca, Italy, 1940), 152. Sister Saint Michael, S.S.J., Portrait of Saint Gemma: A Stigmatic (New York: P.J. Kennedy & Sons, 1950), 163. Monastero-Sanctuario di S. Gemma Galgani, A Lover of the Cross: Saint Gemma Galgani (Lucca, Italy, 1940), 148-9. Msgr. G. Bardi, Devotion to St. Gemma Galgani (Boston, MA: Daughters of St. Paul, 1986), 28. Msgr. G. Bardi, Devotion to St. Gemma Galgani (Boston, MA: Daughters of St. Paul, 1986), 19. Benedict Williamson, Gemma of Lucca (London: Alexander-Ouseley Limited, 1932), 136-7. Fr. Philip Coghlan, C.P., Gemma Galgani: A Child of the Passion (London: R. & T. Washbourne, LTD, 1914), 43. 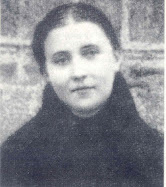 Monastero-Sanctuario di S. Gemma Galgani, A Lover of the Cross: St. Gemma Galgani (Lucca, Italy, 1940), 86. Fr. Philip Coghlan, C.P., Gemma Galgani: A Child of the Passion (London: R. & T. Washbourne, LTD, 1914), 91-2. Sister Saint Michael, S.S.J., Portrait of Saint Gemma: A Stigmatic (New York: P.J. Kennedy & Sons, 1950), 229-30. Saint Gemma has helped me many, many times throughout the past few years. And I absolutely love her autobiography and diary. Her love for God was exceptional.